STI can create your custom product or duplicate almost any existing braided or woven product for you. With STI braiding and weaving capabilities and manufacturing flexibility, development of special cords, ropes and sleeving for specific applications is never a problem. STI offers several stock colors in polyester to choose from. 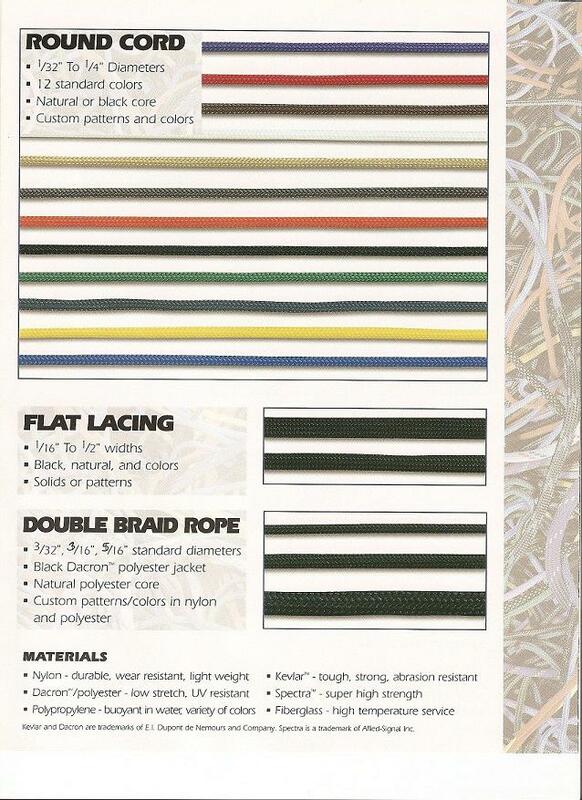 These colors can be combined with various braid styles to produce many different patterns and design effects. With STI braiding and weaving capabilities and manufacturing flexibility, development of special cords, ropes and sleeving for specific applications is never a problem. Years of experience, combined with the latest braiding technology, enable STI to offer an unlimited variety of braided and woven products in assorted colors, patterns, sizes and forms. STI can create your custom product or duplicate almost any existing braided or woven product for you.